The JTX Tri-Fit Cross Trainer is highly recommended by its satisfied customers, and a lot of people have left it with positive reviews. 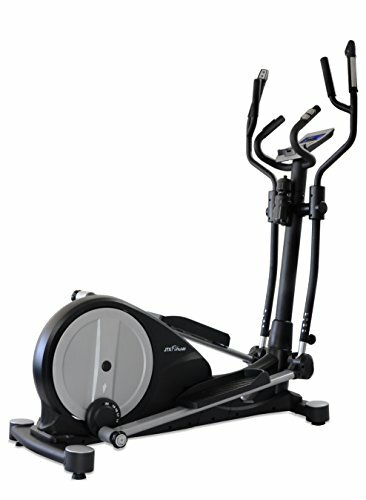 This mid-range cross trainer is packed with advanced features that make it reasonable for its given price point. It’s suitable for intermediate to advanced users because its flywheel weighs 17kg, which can be too heavy for beginners. 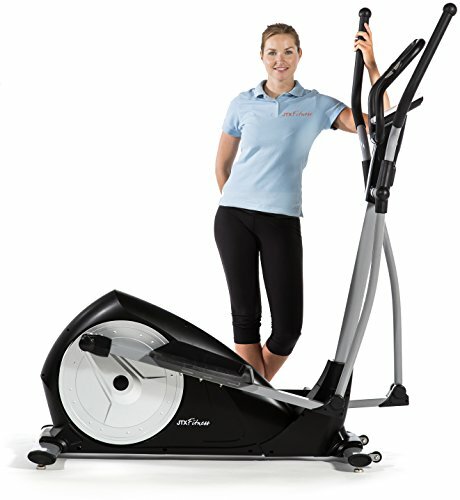 Buckle up as I take you to a closer look at the features of this incredible fitness equipment. The JTX Fitness Tri-Fit Cross Trainer will undoubtedly fit any home gym because of its modern design and matte black finish. However, it isn’t just stylish because it’s also sturdy and effortlessly stable. This cross trainer has a maximum weight capacity of 135kg making it suitable for weight loss training. Tall users will also be able to create full movements with this equipment thanks to its intuitive and easy to use stride adjustment system. It has five different stride options which can be adjusted from 16in up to 20in which allows users of different heights and abilities to train at their optimum level. With its maximum stride adjustment at 20in, the JTX Tri-Fit Cross Trainer can support an intense “running” motion which is exciting for advanced users. The JTX Tri-Fit’s computer accurately tracks your progress and displays all the data you need in a clear and organised display. But of course, that’s not it. Because it’s an advanced computer, it allows you to connect the equipment to motion video fitness training apps on your smartphone or tablet via Bluetooth. You can also use the free Kinomaps app wherein you can keep pace with the motion video as the cross trainer resistance matches the real hills shown on the screen. The i-Console app and Google Maps can also be used to create resistance responsive training routes anywhere in the world. Once the computer is connected, you can easily control the equipment using your smartphone or tablet. But if you’re not in the mood to use all of these, you can choose from the 12 pre-programmed workouts or customise your own. An incline adjustment feature isn’t typically found in mid-range cross trainers, but luckily, the JTX Tri-Fit Cross Trainer has it included. By training on an incline, you will engage your core and glutes giving you a complete full body workout. The incline and stride adjustments are completely independent, so you don’t have to worry about feeling uncomfortable. Aside from this, it also offers 16 levels of electro-magnetic resistance which are quietly controlled by the Smooth-Drive system. Combining the incline, resistance and long stride length makes this the ideal cross trainer for weight loss and improving your fitness level. If you think the mentioned features still won’t justify its price, then you’ll be glad to hear that there’s a lot more. The JTX Tri-Fit Cross Trainer has built-in high-quality speakers that allow you to play your favourite tunes while working out. Aside from that, it has multi-position ergonomic handlebars that enable quick resistance control and has integrated pulse sensors. For added convenience, this cross trainer also has a carefully positioned water bottle holder so you can easily access it when you need some hydration. You think that’s it? The TX Tri-Fit Cross Trainer also offers a FREE heart rate chest strap so you can use the heart-rate programmes with auto-adjust resistance for a more efficient workout. The JTX Tri-Fit Cross Trainer is relatively heavier than most cross trainers with a weight of 75kg. Each part can be heavy so you might need some assistance when putting it up. However, this won’t be a frustration because it’s easy to assemble and it has built-in transport wheels so you can easily move it around the house. Delivery to Mainland UK addresses only. The FRONTIER Olympus Max Cross Trainer is another mid-range fitness equipment that should consider adding to your home gym. It offers an extendable stride level from 17 in up to a maximum of 21 in. Its 25kg flywheel is one of the heaviest and smoothest in the market which makes it more suitable for experienced users. 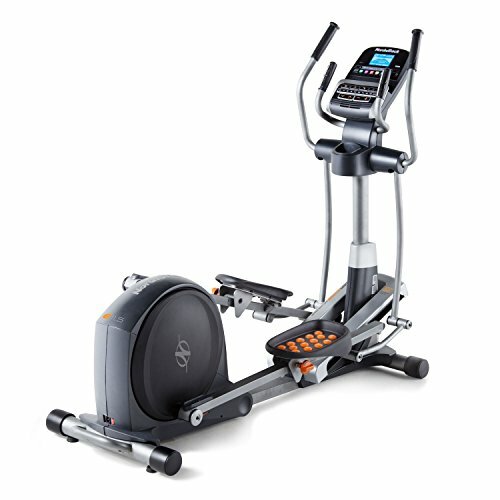 This cross trainer features a gym-type backlit coloured LCD that provides 16 different exercise programs, and it has 16 resistance levels that can be quickly adjusted using the computer. With a maximum weight capacity of 136kg, this fitness machine is already suitable for semi-commercial application as its guaranteed to be sturdy and certified to German quality standards. Nordic Track is a brand that has a good reputation when it comes to mid-range and high-end fitness machines. The Nordic Track Elliptical Cross Trainer features a power intensity ramps that allows you to adjust the stride between 20 up to 22 inches. It provides a challenging workout even for advanced users with is 10 to 30 incline levels and 20 resistance levels. This cross trainer has oversized and cushioned pedals to ensure you have a comfortable platform during exercise. For added comfort, a CoolAireT oversized fan is built right into the console and is easily adjustable. The Nordic Track Elliptical Cross Trainer also features an iPod/mp3 compatibility with Intermix Acoustics 2.0 sound system, and it’s also smartphone compatible. 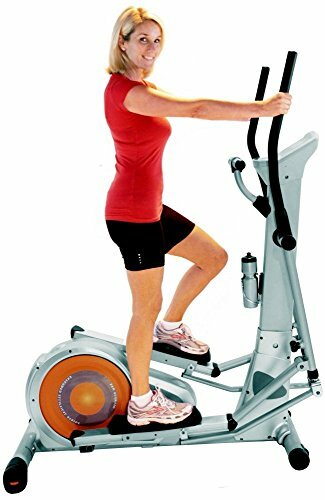 Nordic Track Elliptical Cross Trainer Detailed Review? CLICK HERE. 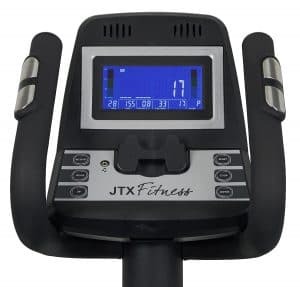 The JTX Strider-X7 Magnetic Cross Trainer, which came from the same brand, is also one of the best mid-range cross trainers you can get in the market today. It comes with 21 built-in programs and 16 resistance levels to constantly keep you motivated to work out. With an easy to use coloured touchscreen console, you can easily configure your desired settings. 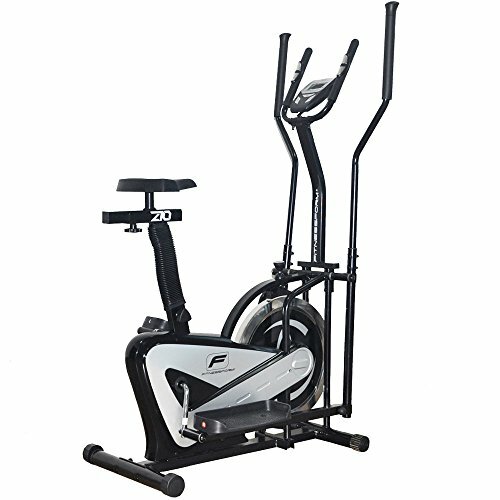 This cross trainer allows various users to workout confidently because its maximum user capacity is 110kg and it has a promising guarantee of 5-year frame warranty and a 2-year in-home repair warranty. JTX Strider-X7 Magnetic Cross Trainer Detailed Review? CLICK HERE. To give you a broader selection, here is a budget-friendly option. The Fitnessform ZGT Z10 Cross Trainer Bike is an entry-level fitness machine that will undoubtedly fit any budget. The brand claims that this machine was carefully engineered and tested for effectiveness and durability by some of the UK’s leading trainers, doctors and athletes. It has a maximum weight capacity of 110kg which is comparable to mid-range models. On top of that, this cross trainer is made to be quickly dismantled which is good news for any user. Fitnessform ZGT Z10 Cross Trainer Bike Detailed Review? CLICK HERE. 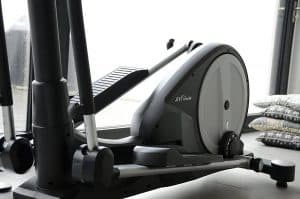 Without a doubt, the JTX Tri-Fit Cross Trainer is a smart investment to make if you have the money to spend. It has various settings that make it suitable for different levels, and its adjustable stride length system incredibly helps in maximising your efforts with each session. The advanced computer, integrated sound system, and multi-grip handlebars are just some of the things that justify the product for its price so with a lot more features; it’s definitely worth every penny.